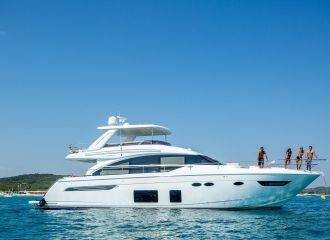 This Pearl 75 yacht has become extremely popular on the charter market thanks to her great interior volume, superb design and friendly crew. 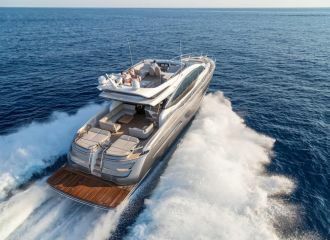 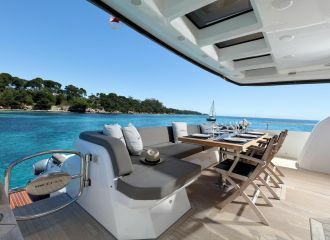 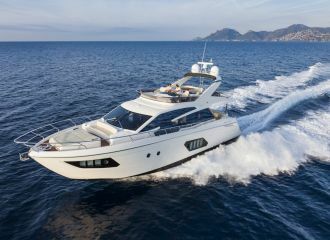 The yacht offers plenty of exterior space to relax whether it is on the bow or up on the flybridge. 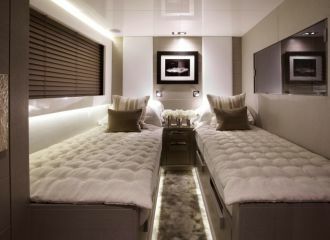 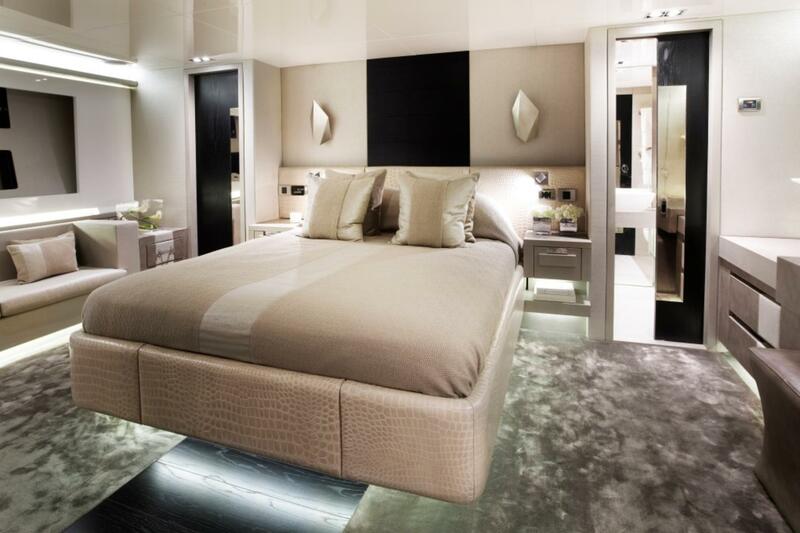 Her panoramic windows allow for enhanced light throughout the yacht. 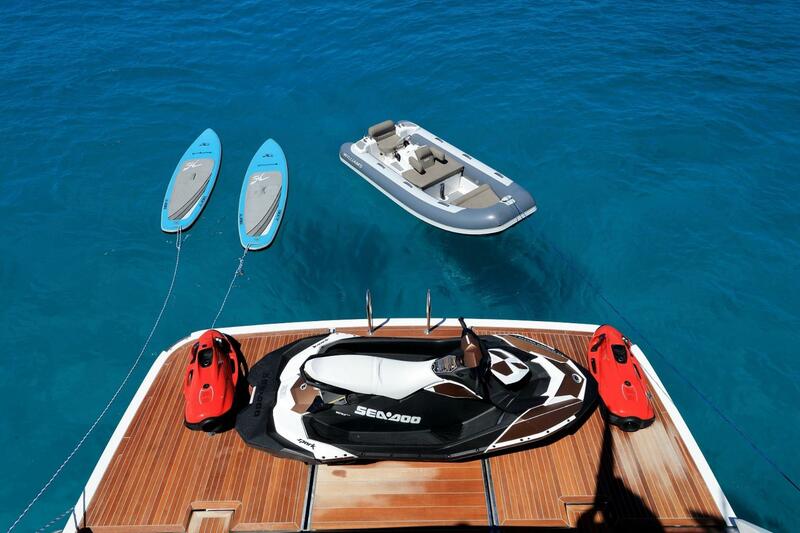 There is a great selection of water toys onboard for those who want to enjoy the thrills of water activities. 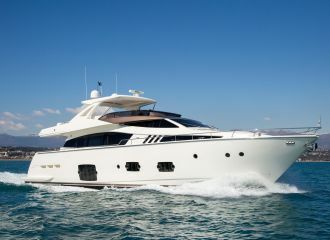 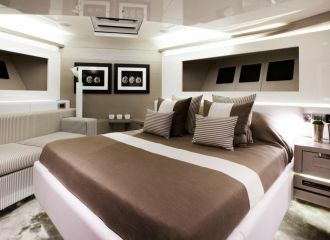 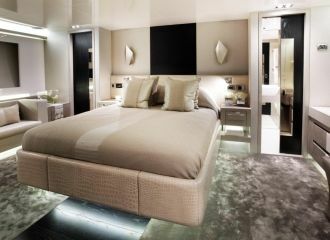 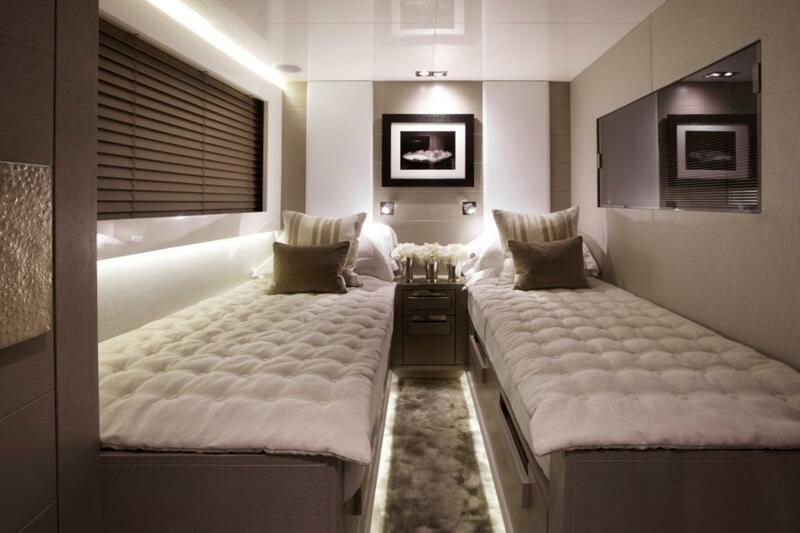 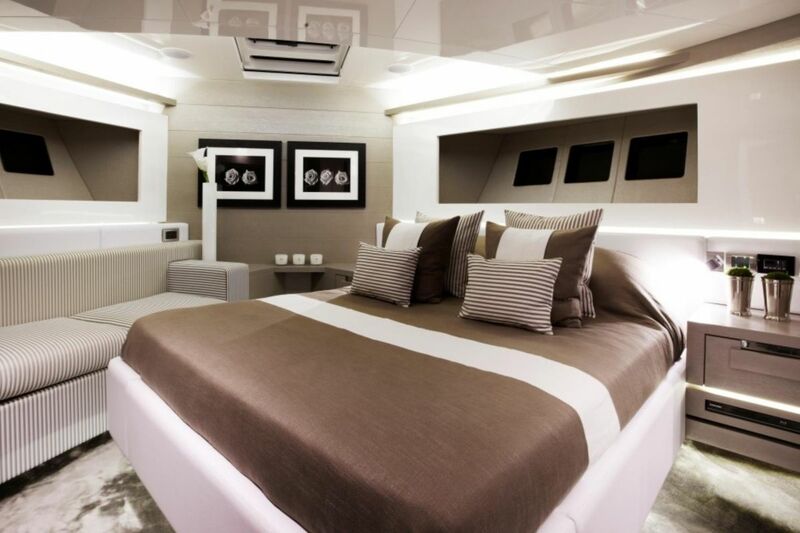 This Pearl 75 flybridge yacht can accommodate up to 8 guests in 4 good-size cabins all with en-suite bathrooms. 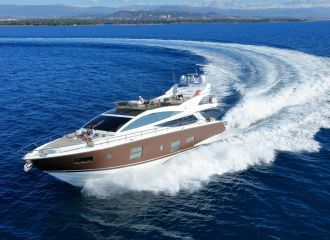 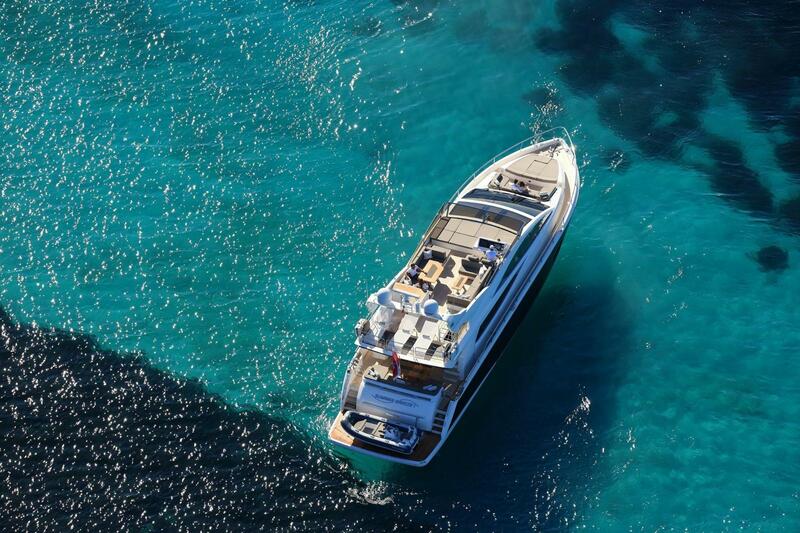 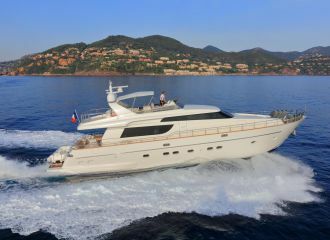 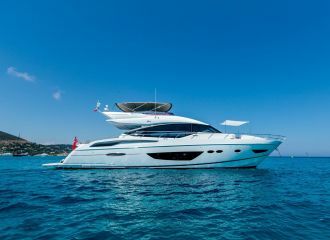 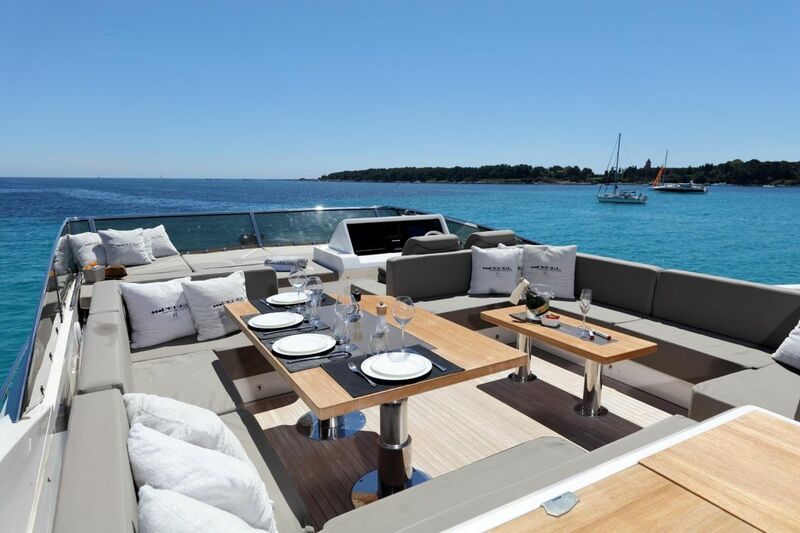 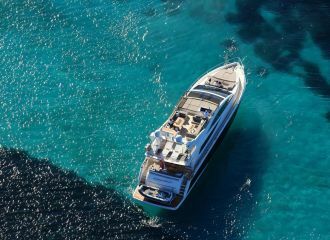 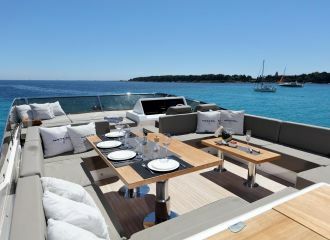 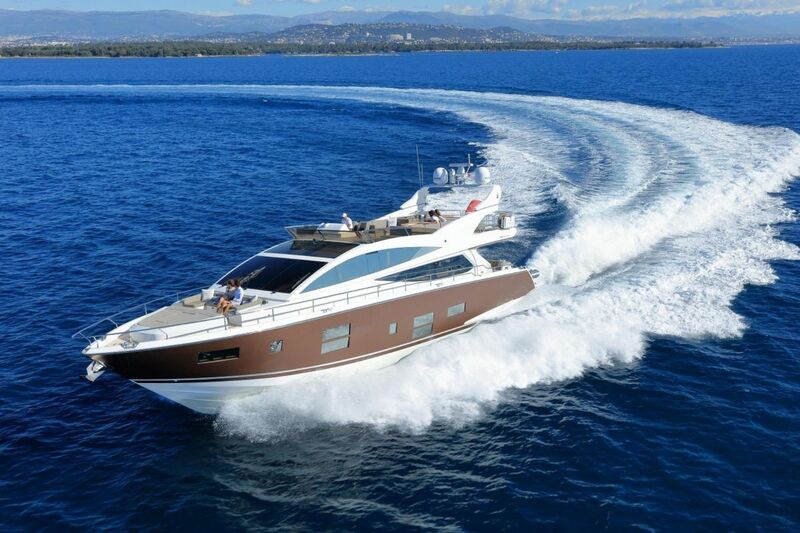 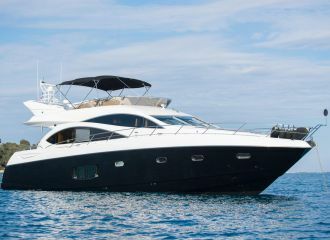 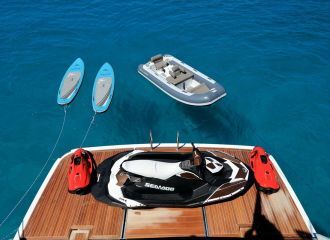 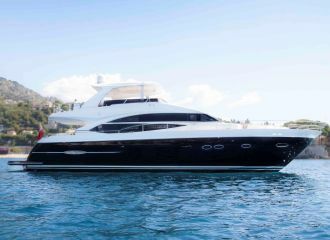 Available this summer for a French Riviera yacht rental.